To subscribe directly to the RSS for Crosswired, use this RSS Feed. By audience request, Aural Traditions presents an Omnibus edition of Crosswired. This release contains episodes 16 through 21. There is no new content. By audience request, Aural Traditions presents an Omnibus edition of Crosswired. This release contains episodes 6 through 10. There is no new content. 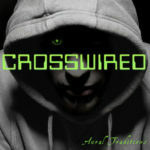 By audience request, Aural Traditions presents an Omnibus edition of Crosswired. This release contains episodes 1 through 5. There is no new content. Simon and Dr Hadoop need the codes for the satellite, but they’re still in the possession of Hadoop’s assistant, Ellen Daniels. Lack of medical attention is taking a toll on Simon, though, raising concerns for both KANTO and the NSA. Can Simon uncover the Conway’s purpose before he suffers a breakdown? Will Agents Boyle and Abrahms succeed in rescuing Ms Aster from Conway’s clutches? Dr Hadoop is desperately seeking help to figure out what he’s really been doing for the NSA and Mr Conway. Marius, meanwhile, is safely in the hands of Agents Boyle and Abrahms. Can they convince him to lead them to Simon? And somewhere in Kansas, Gretchen and Simon are still trying to reach the KANTO cell with their secret knowledge about Kazin.